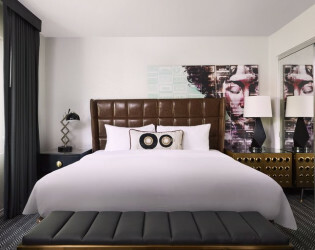 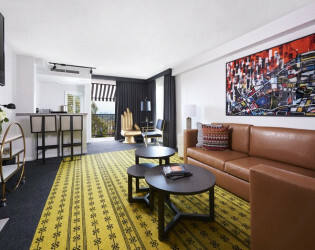 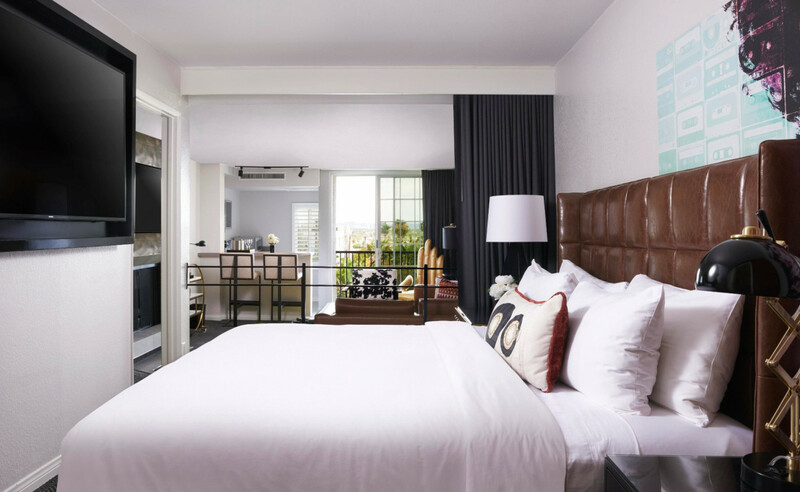 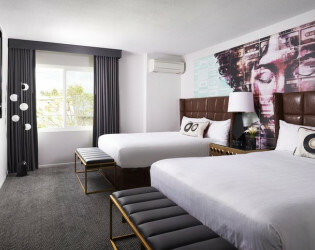 Montrose West Hollywood is an intimate hotel where urban style meets upscale sophistication. 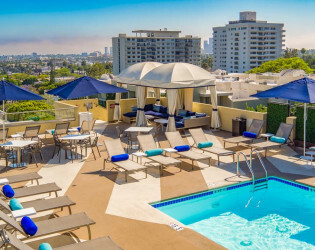 Just steps from the famous Sunset Strip, Montrose West Hollywood is an intimate hotel that exudes style and sophistication, where guests can take in stunning views of the LA skyline from the rooftop pool and bar, or get together with friends over dinner and drinks at our ultra-private restaurant and lounge. Events are subject to 9.5% sales tax and 22% service charge as applicable. 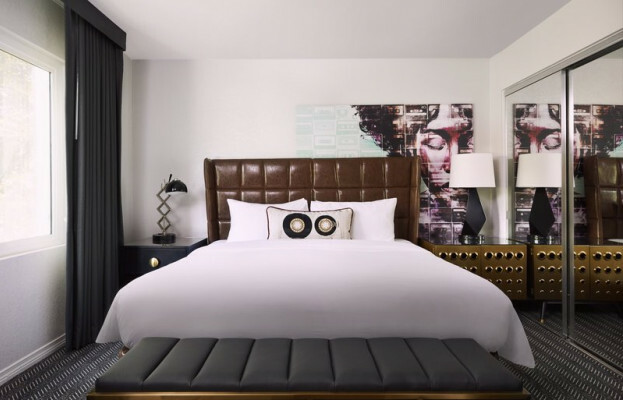 Every night from 5:00 pm - 6:00 pm join us for our nightly complimentary wine hour featuring a different vinyl each night! 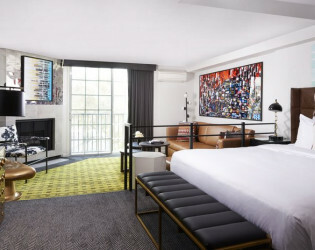 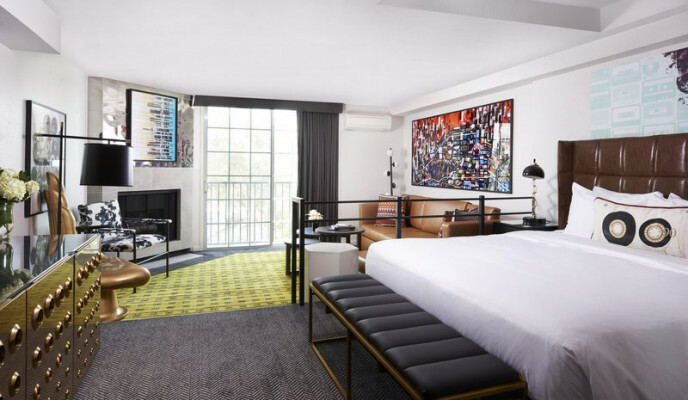 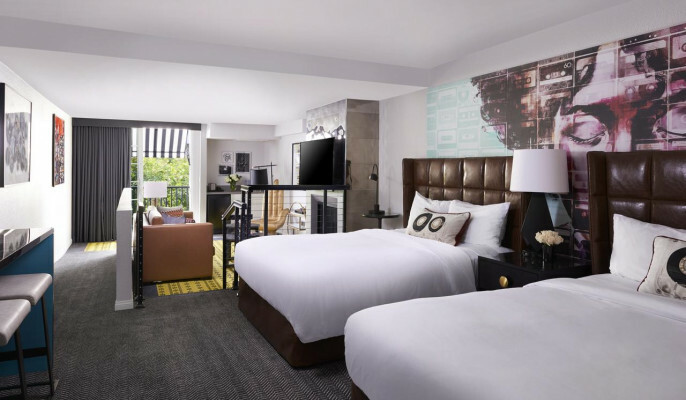 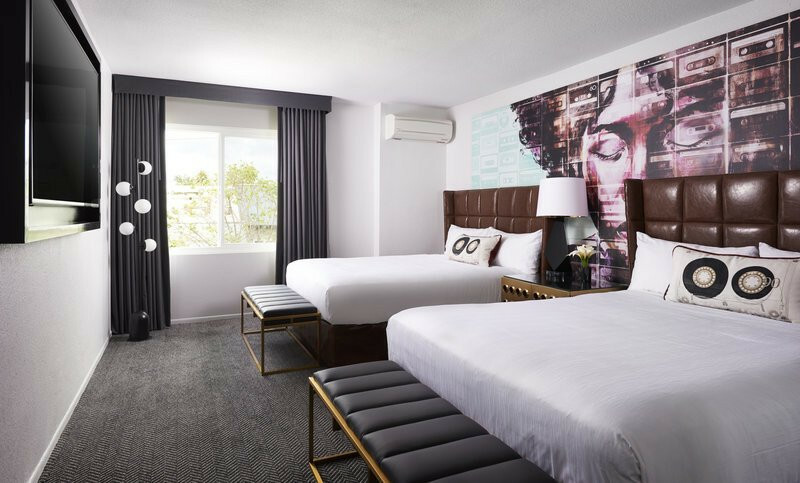 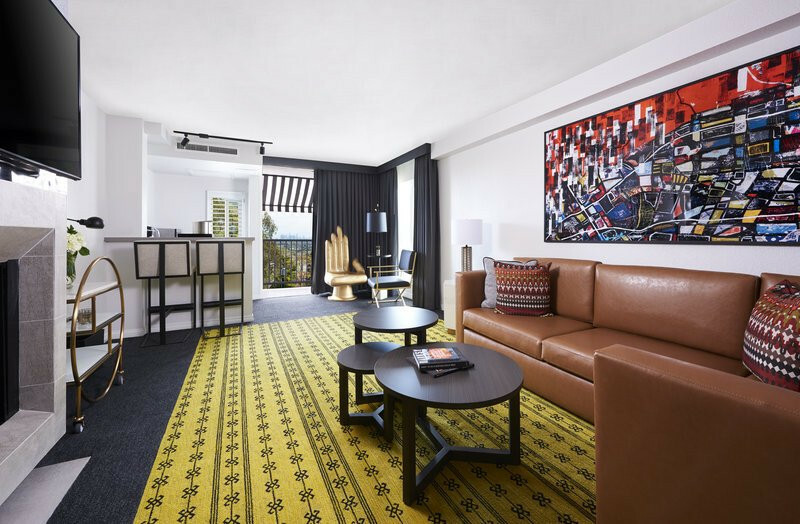 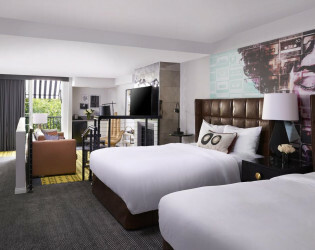 Inspired by Hollywood’s past and present entertainment industry, the hotel’s new design blends urban style with upscale sophistication, providing the perfect home away from home for artists and creatives in the heart of West Hollywood. 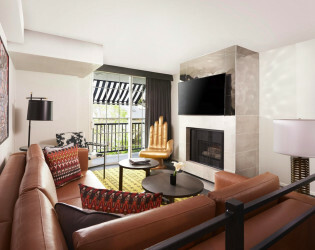 Featuring a 52" LCD TV with state-of-the-art presentation capabilities, our upscale, approximately 825-square-foot Multifunction Room is ideal for intimate Los Angeles banquets, meetings, conferences, and other group gatherings for approximately 50 persons. Elevate your upcoming event by reserving our Rooftop. 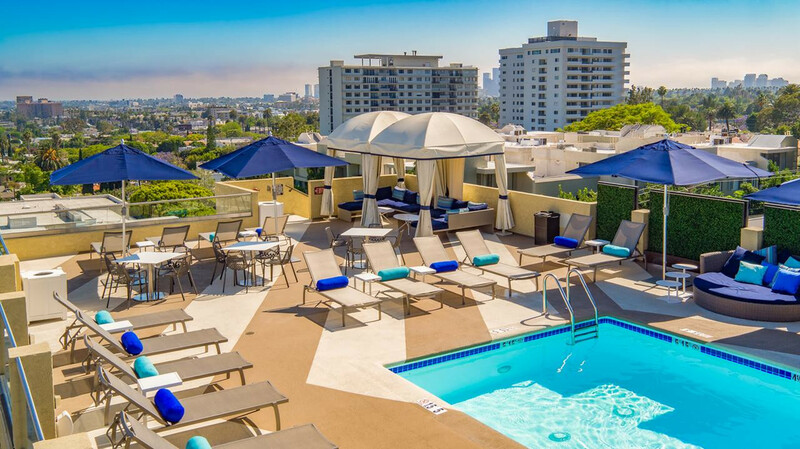 This new meeting space is tailored to make your business meetings both convenient and pleasant, with spectacular panoramic views of Los Angeles to inspire. Timbre offers an all-day dining menu, serving breakfast and lunch in addition to a grab-and-go section for travelers to pick up pre-made sandwiches, snacks, fresh smoothies and fine Italian Lavazza coffee. 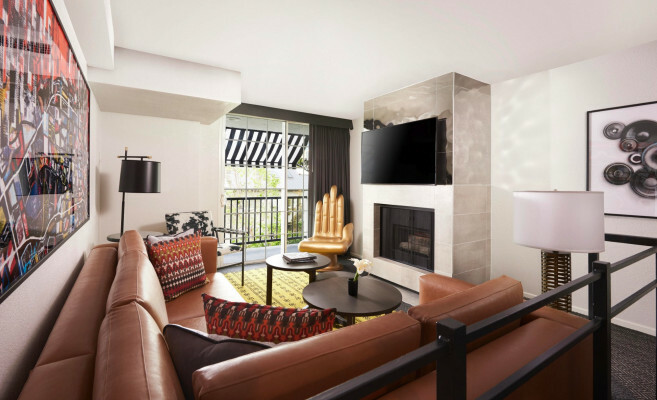 During the day, our lounge provides a relaxed workspace for creating the next trend in music, fashion, wellness, and tech. 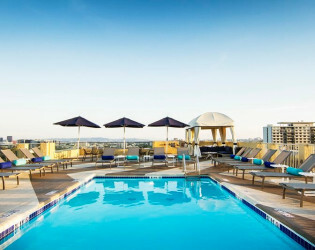 For a taste of al fresco dining, enjoy Timbre’s signature dishes in the California sunshine, on the restaurant’s adjacent patio at night, Tone turns into a lively space for catching up with friends over complimentary wine during our manager-hosted Vinyl Hour. Settle in for a satisfying meal while you take in panoramic views of West Hollywood and Beverly Hills. 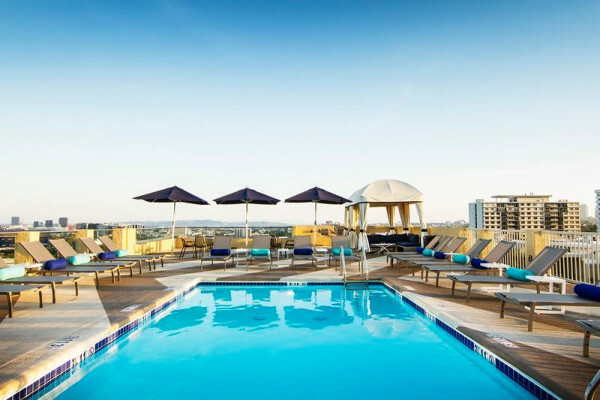 Tonic, our rooftop cafe is the perfect place to enjoy a light meal or drinks by the pool or watch the sun set over the Los Angeles city skyline.